Welcome! On behalf of the whole team here at RNS Service, I would like to thank you for spending time with us! We are excited to show you around our shop and to introduce you to our six ASE Master Certified Automobile Technicians. As you walk in the front door, you will meet the second-generation owner of the business, Jeff Stoller, along with his son Owen, that’s me. Jeff is ASE Master Certified plus L1 and A9. I am currently working toward my Master Certification and am better than half way through the process. We work hard to serve each person that walks through the front door. At RNS, you can visit with the two of us about the symptoms that you are experiencing and enjoy a cup of coffee at the same time! We will probably schedule an appointment for a later time, which allows us to get most vehicles finished the same day of the appointment. After dropping off the vehicle, we will then pass it on to one of the other ASE Master Certified Automobile Technicians to confirm the symptoms and identify the underlying problem. We then work with you to find the best solution to the problem. The one that fits you the best. We take great pride in working hard to find that best solution and carrying through. That’s why we have been in this business since 1977. This is why most of our work is covered with a 24-month,24,000-mile warranty. We install quality parts and have superior quality labor. 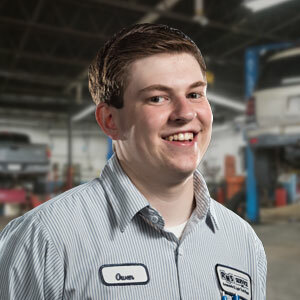 We do not want to be the shop that a vehicle has been to several times with the same or different issues. With this in mind we strive to help plan ahead for future repairs, so that a vehicle can spend the most amount of time out of the shop! Along with the best solution for you, we believe in training and certification that show that we know what we are talking about. 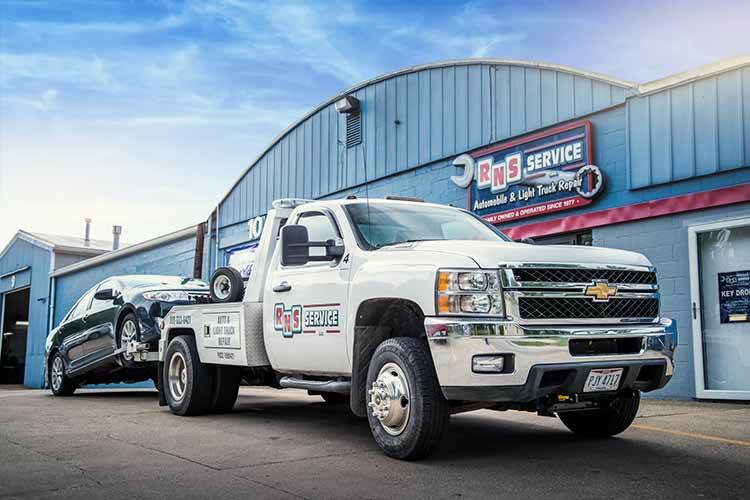 In addition to the six ASE Master Certifications, here at RNS Service, we also have two L1– Automobile Advanced Engine Performance Certified Technicians, two A9 – Light Vehicle Diesel Engine Certified Technicians and one L3 – Light Duty Hybrid Electric Drive Certified Technician. So, come on down, we would enjoy showing you what we are made of here at the shop, and give you an exceptional car repair experience. Contact us today to get more info or schedule an appointment.